Friendly Neighborhood Comics Blog: Legion of Super-Heroes: Great Darkness Saga hardcover coming! Legion of Super-Heroes: Great Darkness Saga hardcover coming! 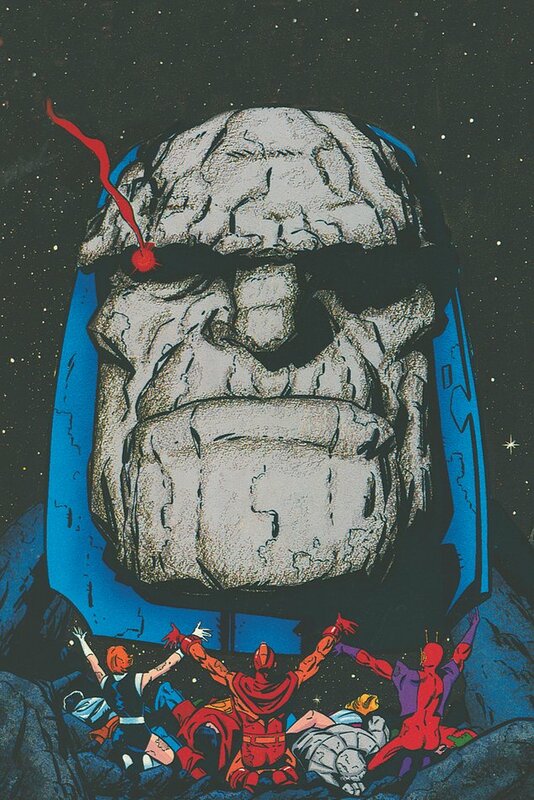 The godlike Darkseid emerges in the 30th century with an ingenious plot to finally conquer the universe in this Deluxe Edition hardcover of Paul Levitz and Keith Giffen’s timeless Legion of Super-Heroes epic! Not only is THE GREAT DARKNESS SAGA collected here for the first time in hardcover, this edition also includes several LEGION OF SUPER-HEROES issues written by Levitz that have never before been collected in any format! This is the perfect edition of the classic Levitz storyline that was decades ahead of its time and still stands as one of DC’s most enthralling superhero tales! Collects LEGION OF SUPER-HEROES #284-296 and ANNUAL #1.